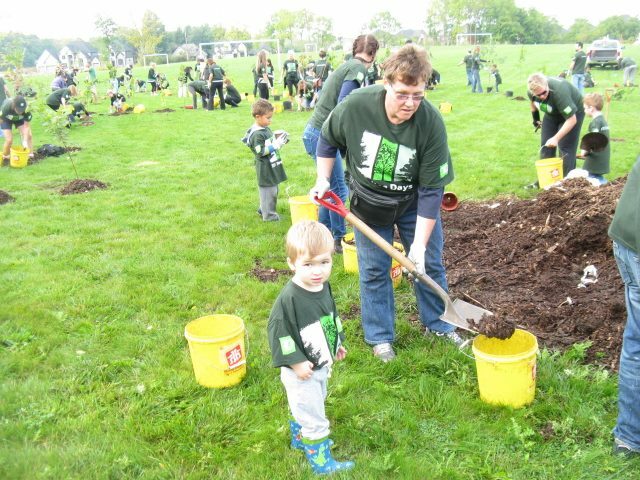 Devon went to his first tree planting event on Earthday 2012! He was only 6 months old! 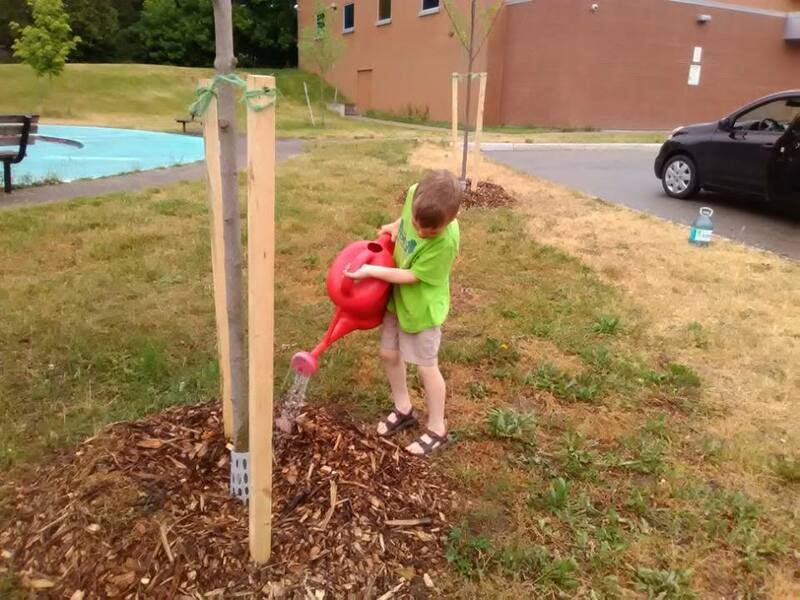 He didn’t do much – mostly watched as I planted a few trees, but he had a lot of fun meeting many of my friends! Everyone wanted to meet him!! 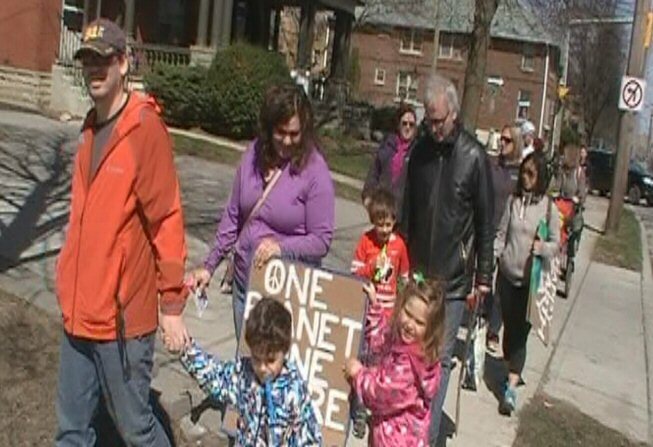 When he was two years old, he was involved in an Earthday parade that I had organized. Around 30 people showed up – some of my Peacebus students and their parents, friends from London’s art community and even one of my Para-transit customers joined in the fun. For the last few years, we have continued attending local Earthday events, working in our gardens and planting flowers at his school’s Butterfly garden. 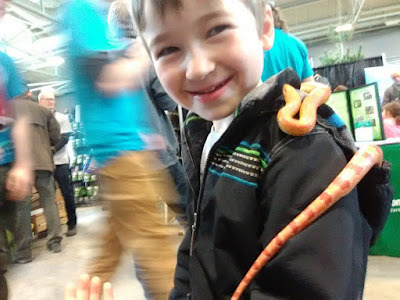 Making friends with a snake! In 2018, I taught Devon how to be a guerrilla gardener! 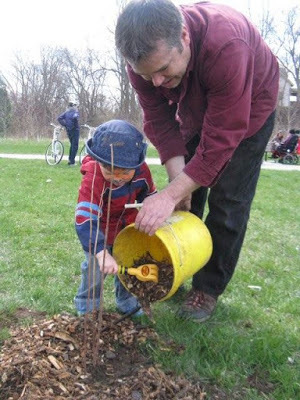 We plant trees and flowers throughout the city, for future generations to enjoy! 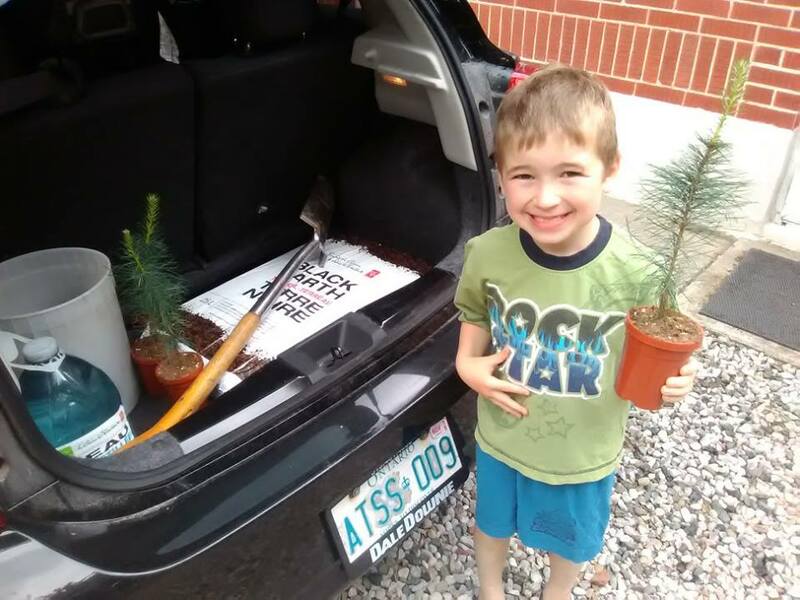 Last spring, Devon began inviting his school friends to join us! 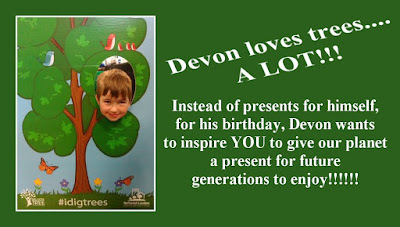 So – it’s easy to see that Devon loves Nature and that includes trees!!!! When we began organizing his 7th Birthday party, I asked Devon if he would like to ask friends to donate to a local tree planting organization, instead of having his friends buy him birthday presents. I explained that he would still get a few presents… but they would be small presents – like books and card games! 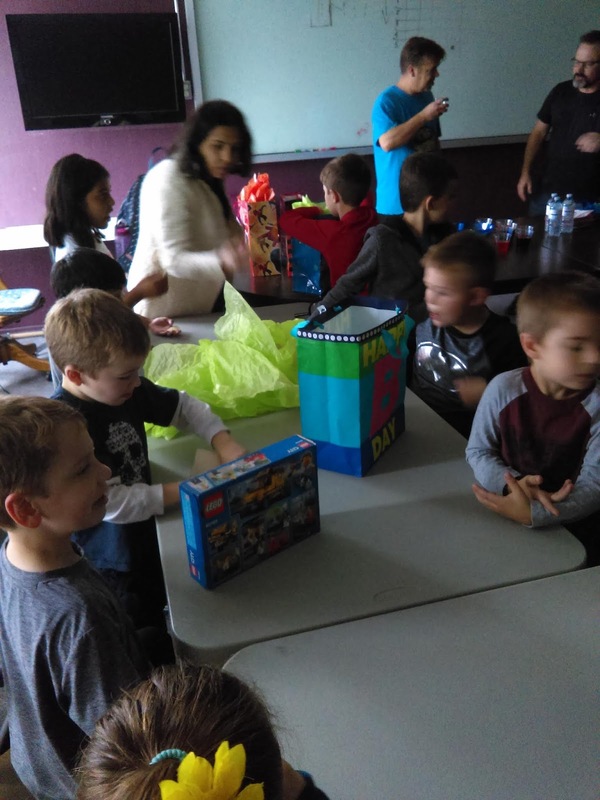 He told me that he already had lots of toys so he didn’t really need any more… so he agreed to have his birthday invitations asking for donations, instead! 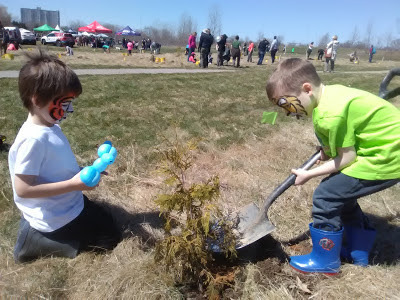 I contacted a friend who manages The Upper Thames River Conservation Authority and asked if we could have people donate to their efforts. Steve Sauders was very helpful and provided me with information and online links to pages where people could make a donation. 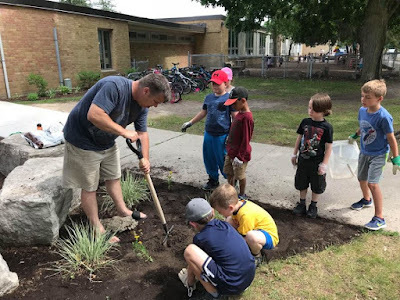 Out of the many donating options available, we chose to share links to the “Greening Our Watershed” efforts. 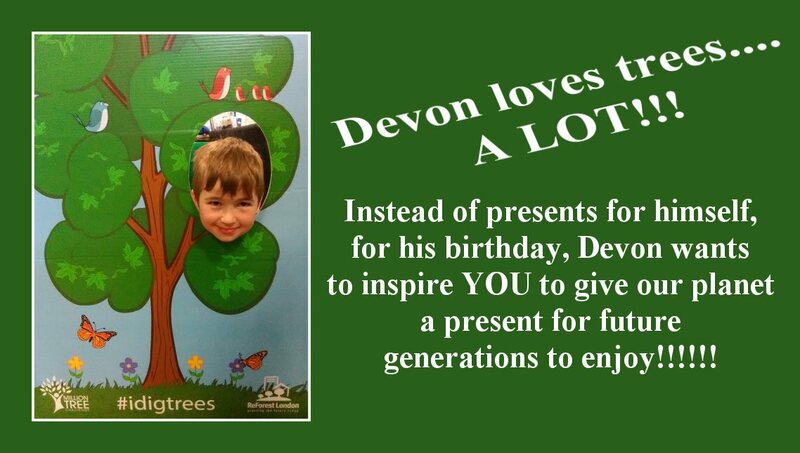 We thought that this was perfect, so we began creating birthday party invitations for Devon’s friends with links to this page so they could make a donation. I also set up a Facebook event page and diligently promoted that for several weeks, to allow my Facebook friends to donate, as well! Two of my high school friends donated, as well as a couple of Facebook friends I have never met! This was great! In the end, Devon’s fundraiser had brought in $256.00!!! Everyone was very happy to hear this result! And… in the end…. Devon also had a great birthday party!!!! Opening presents and eating pizza!! We found a fun indoor baseball training facility that rented out space for kids’ birthday parties. 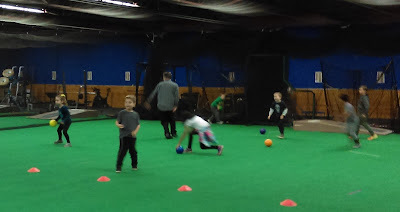 We played computer games, fuzzball, had freezies and then it was time for a little dodge ball action!!! Funny – all the kids ganged up on me!!! I wonder why??? Later, a friend told me that this happened, “probably because you went into the play area yelling, ‘I’m going to annihilate you all!!! !’” LOL!!!! I hope that this story inspires readers (like you) to follow fun examples like this. You can raise money for causes important to you and have fun with friends and family all at the same time!!! !